periods of near point work like working on a computer. It was made to hunt, fish, farm and locate danger. COMPUTER VISION SYNDROME (C.V.S.) IS ONE OF THE FASTEST GROWING EYE HEALTH CONCERNS IN SOCIETY TODAY. Be it at work and/or at home, adults as well as children inadvisably push their eyes past the point of eyestrain. Excessive computer use and/or uninterrupted close work can induce eyestrain, headaches, and/or other visual difficulties, which can be effectively treated with Vision Therapy. Do you experience eyestrain, headaches or blurred vision after working at your computer? You may have Computer Vision Syndrome (CVS). 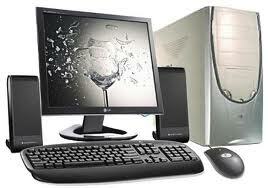 WHAT IS COMPUTER VISION SYNDROME? temporary changes in color perception. The American Optometric Association estimates that 70% to 75% of all computer users experience CVS symptoms. Approximately 95 percent of the population keeps both eyes aligned on the object of regard, as shown in the Figure below. If the eyes do not naturally line up, as is the case for most people, then a constant neuromuscular effort is required to avoid the above mentioned symptoms. Vision is our most precious sense. Our are in constant use every waking minute of every day. The way we use our can determine how well we work throughout our lifetime. indicating the important role our vision plays in our daily activities. 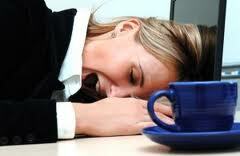 Vision disturbance is a silent enemy that only appears after a long period of continued stress. in school because these visual skills are not yet fully developed in children—making any near-point activities that much more difficult. Many adults have vision problems, eye problems, headaches, visual difficulty using computers or doing close work, both on the job and on their own time. The cause may also be a vision problem that can be addressed by vision therapy why put up with computer eyestrain when you don’t have to? sight-vision is our most developed. It is our dominant sense and the means by which the average person receives the vast majority of their information and education. It has been shown that nearly 85% of all of the information that we gather in a lifetime is taken into our minds through our eyes. The quality of our vision, how well and truly we are seeing, to a great extent determines the quality of our personal reality which shapes how we live our lives. The information that we take in our eyes is the raw material from which we create our own sense of reality. The context that is based upon past experiences determines our behavior in present circumstances. Perhaps even more importantly, our eyes are the only organs of our bodies that are actually outgrowths of our brain. The eye’s retina is in reality, a specialized form of brain tissue. This makes the interconnection and interrelationship between our eyes and our brain the most profound organic relationship on our body in our being. The information taken in by the eyes is processed by the brain more deeply and completely, than the information that we receive through all our other senses. As we exchange our perceptions of what we can and cannot see, we can become more open to viewing the world as a whole new adventure. We ride our bike down a country road watching for pot holes, frogs or sticks. We end up maneuvering around these objects and adjust our speed, while visually monitoring our position. Moments later we might get into our car, drive to the grocery store past fields with turkeys, ducks and geese always judging where we are relative to other vehicles and the flow of traffic. 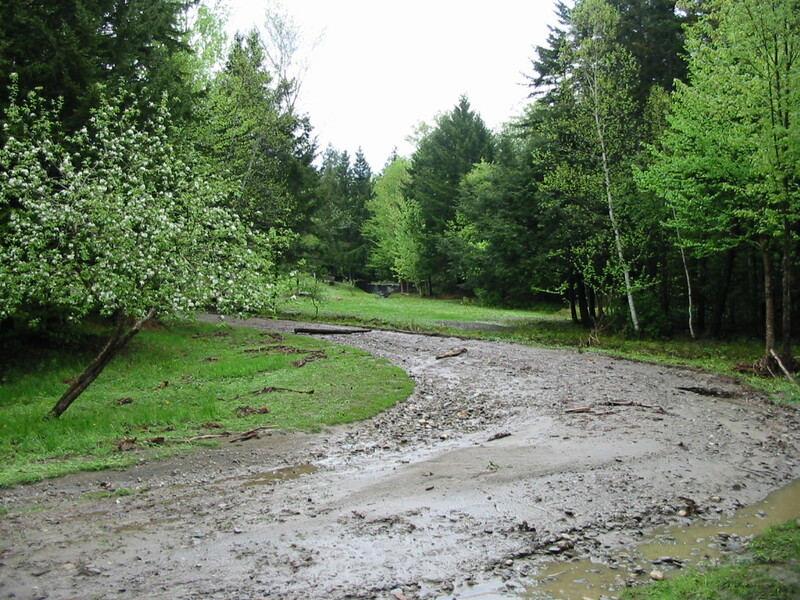 We arrive at our destination having made numerous conscious and subconscious judgments with varying degrees. Whether it is shopping for groceries, watching a ball game or reading the news paper our vision plays an essential role in each of these activities through the collaboration of eyes and brain. Vision occurs neither in the eyes nor in the brain, but emerges from the collaboration of the eyes, the visual pathway and the brain. Vision is a pervasive aspect of our existence which permeates all of our activities. Vision develops and, due to neural plasticity, can be enhanced. Optometry is the discipline dedicated to the care of all aspects of the visual process. Seeing takes place in the our brain, not in our eyes. Being able to understand esophoric and exophoric behavior opens up a window into how we experience our world. What one sees, how we perceive, interpret and react is all a result of our individual inner world. 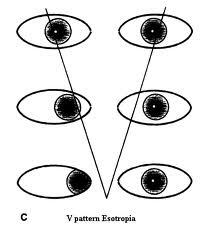 Esophoria (Eso)– (clinical condition) a tendency of the eyes to want to turn more inward than necessary when an individual is viewing an object at near or at distance, which may cause the individual to experience eyestrain and other symptoms. Look closer and judge space incorrectly. Receives information better from the printed (seeing) word than from the spoken (auditory) word. Exophoria (Exo)– (clinical condition) a tendency of the eyes to want to turn more outward than necessary when an individual is viewing an object at near or at distance, which may cause the individual to experience eyestrain and other symptoms. The Exophoric Child tends to relate his/her space world as a complete totality with him/herself as part of it in his alignment which is an outwardizing movement. His/her performance should be complimented rather than him/her as an individual. Not sustain near point attention, but tend to look away. See where something is and not what it is. Jump from field to field to take in information. Blurred vision distance and near. Double vision at far and near. Difficulty concentration on reading material. Pulling sensation around the eyes. 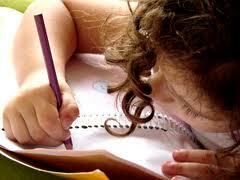 Many children with learning difficulties also have writing difficulties. 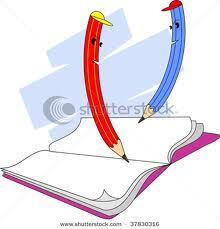 Practically all nearsighted children held their pencil no more than a quarter of an inch from the tip. Almost all children with learning difficulties exhibited some form of unusual pencil grip and fine motor in co-ordination. In all instances of improper pencil grip, the fingers blocked the line of sight from the eye to the pencil tip, causing the writer to bring the head to the side and/or down closer to the page in order to see what was being written. Many of those who work with learning-disabled children have found that these children, in addition to having problems with reading, also have problems with handwriting. Correct handwriting posture is very important. Both feet should be on the floor. For right-handed the body should be slightly turned to the left. For left-handed the body should be slightly turned to the right. The position of the paper is also very important. In many cases, just learning how to correctly orient the paper may help poor handwriting. Right-handed writer should have the paper turned so that the bottom left-hand corner points directly to the navel. Left-handed writer should have the bottom right-hand corner pointing to the navel. The paper is aligned in such a manner that the sides of the paper are parallel to the writing arm when it is resting on the paper. The non-writing hand has the role much like that of a typewriter roller as it moves the paper up to prepare for writing on the next line. The non-writing hand plays a very important role in paper orientation while writing. 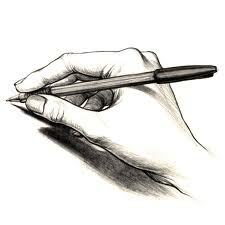 The non-writing hand should be kept resting on the side of the paper, with the elbow on the table. This allows an open view for writing and puts the body in balance to keep the paper from moving, while writing. The elbow and forearm of the writing hand must lie on the desk. It is better to keep the elbow in place and move the paper upward as writing is done. The writing hand moves across the page from left to right and line to line. The way students hold a pencil or pen to write, the manner in which they orient their paper, heir posture while writing, and the way in which they form their letters will be carried over to adulthood. 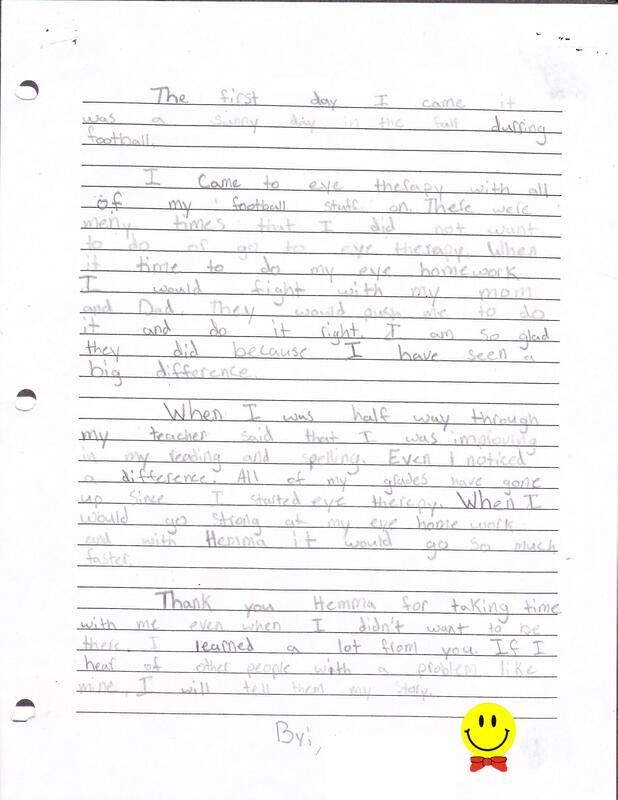 Many parents are concerned with their children’s handwriting abilities. Graphomotor performance is related to visual analysis, motor planning, and spatial organization. Fixation – the ability to direct and maintain steady central visual attention on a target. Ocular motor skills – the neuro-muscular control skills which point the visual system on a moving target (pursuit eye movements) or jump from one object to another as in reading (saccadic eye movements). Accommodation – the vision skill which involves focusing. Binocularity – the ability to team the eyes. This allows for coordinated eye movements as targets move from distance to near. This skill has a sensory and motor aspect, information on location (depth perception) and allows both eyes to remain on the target as it moves closer and further from the eyes. Children have been asked to write meaningful material before they have learned to write. (a time when the child is developmentally ready for reading). Reports show that children with learning disabilities, in addition to having reading problems, tend to reverse letters, invert letters, place letters and numerals on their sides, mirror their writing; in general have numerous handwriting problems. These errors have been reported as “additional problems.” Such writing however is the cause of vision problems. Mistakes, wrong moves, incorrect sequence, etc. have been shrugged off as unimportant. As a result, many early handwriting problems have been permitted to become established as habit. This, we contend, is responsible for many of serious reading problems from which 15% of our children suffer. AFFECT ONE IN EVERY FOUR”. These visual abilities are basic skills used to perform tasks such as reading and using a computer. About 40% of all Americans have functional vision deficits. Vision problems not only affect an individual’s ability to perform tasks, but it can have a negative affect on ones self-esteem. THERE’S MORE TO VISION THAN JUST HAVING 20/20 EYESIGHT. READING, USING A COMPUTER AND PLAYING SPORTS. It is essential that our visual system is efficient because two-thirds of all information we receive is visual. 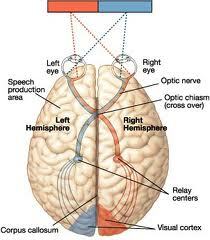 The visual system is composed of the following visual abilities. When weak visual processing and perceptual skills are present, an individual’s ability to quickly and accurately comprehend reading material may be reduced. Once these skills have been improved through the treatment of vision therapy, reading and learning becomes easier. 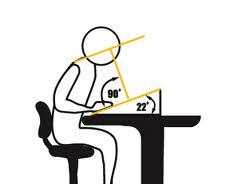 Distance and near acuity: is to see clearly at a far distance such as 20 feet, and the ability to see clearly at a near distance such as 16 inches. Accommodation: the eye’s ability to adjust focus on objects with various distances. Binocularity: the ability to use both eyes as a team. 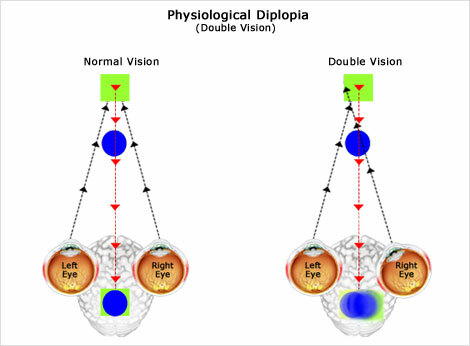 Proper eye alignment and coordination is necessary so that the eyes can unite two images into one (fusion), which allows an individual to perceive a single three dimensional image (depth perception, stereopsis). Oculomotor skills: the ability to quickly and accurately move our eyes. These skills allow us to move our eyes so we can direct and maintain a steady visual attention on an object (fixation), move our eyes smoothly from point to point as in reading (saccades), and efficiently track a moving object (pursuits). Peripheral vision: the ability to see or be aware of what is surrounding us (our side vision). Visual-sensory integration: after visual data is gathered, it is processed and combined in the brain with information from hearing (auditory-visual integration), balance (bilateral integration/gross-motor), posture, and movement (eye hand coordination, visual-motor integration). Directionality-visual spatial orientation: The ability to distinguish left and right in space. The most common cause of reversals in older children is a lack of visual spatial development. Children with poor visual processing have not developed adequate skills in visual perception and spatial orientation. 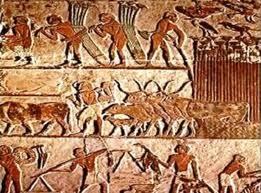 Visual perceptual skills: the ability to organize and interpret information that is seen and give it meaning. These information-processing skills include figure-ground, form constancy, spatial relations, visual closure, visual discrimination, visual memory, visual sequential memory and visualization. Visual Figure-ground: the ability to recognize distinct shapes from their background, such as objects in a picture, or letters on a chalkboard. The ability to perceive and locate a shape within a busy field. Children struggling with this skill, get lost in details. It affects their concentration, attention and they tend to have difficulty scanning text to locate specific information. Visual Form Constancy: the ability to recognize two objects that have the same shape but different size or position and to mentally manipulate forms and visualize the out come. Children that struggle with this skill may frequently reverse letters and numbers. This ability is needed to tell the difference between “b” and “d”, “p” and “q”, “m” and “w”. Visual Spatial Relations: the ability to distinguish differences among similar objects or forms. This is needed in reading and math. Children that struggle with this skill have the challenge in problem-solving and conceptual skills required for higher level science and math. Visual closure: the ability to identify or recognize a symbol or object when the entire object is not visible and to visualize a complete whole when given incomplete information. Children struggling with this skill may have difficulty in not remembering or comprehending what has been read. They might be unable to picture in the minds eye descriptions, directions or instructions. Visual discrimination: the ability to discriminate between visible likeness and differences in size, shape, pattern, form, position, and color. Such as the ability to distinguish between similar words like “ran” and “run”. Children that struggle with this skill have a hard time distinguishing between similarly spelled words such as was/saw, then/when, etc. 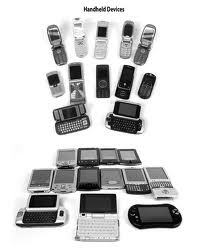 Visual memory: the ability to remember for immediate recall of a given object or form. Children with poor visual memory may struggle with comprehension, remembering what words look like or fail to recognize on another page. Take longer copying assignments because they must frequently review the text. Visual Sequential Memory: the ability to remember shapes or characters in correct order. Children struggling with this skill will have trouble with spelling. They tend to whisper or talk to themselves as they write. Visualization: the ability to create or alter new images in the mind. It is needed in reading and playing sports. The fact that we use the word “see” to mean understand indicates just how important vision is to our learning process. Here I was, the younger daughter of the man who was then Vice President – and a few months later became President- of the United States. My father certainly had the desire and the means to have my health problems diagnosed and treated. 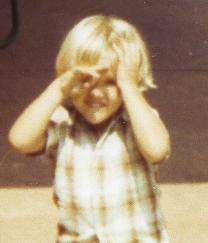 And yet, I had a major visual problem that went undetected for many years. I came from a family of achievers and worked diligently at school, but no matter how hard I tried, I found it impossible to rise from C to even a C+. Not only were my academic abilities affected, but because my eyes did not work well together, my total coordination was poor. And because I was physically uncoordinated, I was inevitably the last choice for team games throughout my childhood. “This type of problem arises initially as a reaction to stress created by the use of the eyes for close work and, in turn, brings about an interference in the coordination of the visual system. In other words, there results a dysfunction in the coordination of both eyes which reduces and lessens the ability to derive meaning from that which is seen. Not only is reading efficiency restricted, but there is also difficulty in general coordination activities, such as sports, which are highly dependent upon the use of visual information. Thus, hand-eye activities are limited. More frequently than not, there are no measureable ocular defects (such as nearsightedness) and 20/20 visual acuity usually is measured. Then came that November day in 1963 that none of us will forget. As a nation we endured great trauma and transition. As an individual whose father’s responsibility it was to lead our nation, I felt the tension of the time acutely. My adjustment was quite a demanding one. In fact, my teacher expected my grades to stay on the low level they were- or even go down. Instead they rose a grade point per subject- and then kept on rising! From then on, my grades improved and a year-and-a-half later I had gone from Ds to Bs. During my freshman year at college, I made the honor roll- and for someone who had been on scholastic probation for so long, this achievement was a thrilling one indeed. Also, my physical coordination noticeably improved. I was still far from being an athlete- but I’d come a long way. Then, I had a long way to come. During the summer of 1964, I began to reflect on how my life had been radically changed by my visual training. The memory of my early resentment and rebelliousness was still vivid- and I felt that I could not just reap the benefits I’d had and walk away. I knew the frustration that students in visual training were going through- having faced these problems myself- and decided to work for Dr. Kraskin as an assistant during the summer. I worked that summer and the following summer, while I continued to take training myself. During that time, I saw a bright little boy who was having difficulty in kindergarten transformed from an angry failure into a happy, successful student. I saw youngsters like myself go from failing grades to the honor roll. I saw young men eager to be military pilots make such marked improvement that they finally achieved their wish. 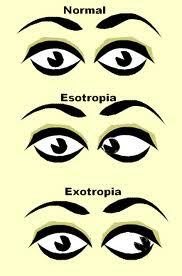 One young girl who won my heart had had two unsuccessful operations to correct strabismus (crossed eyes). With persistent effort, she achieved a marked degree of control. Out of my own personal experience first as a patient and then later as assistant, I found a permanent vocation in helping the visually disadvantaged child. When a preschool vision screening program, Volunteers for Vision, was born I was asked to be national honorary chairman and later became a member of their board of directors. 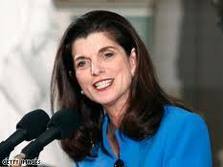 Since the time I first saw Dr. Kraskin, I have graduated from high school, have attended college, have married and have been blessed with two lovely children. As a mother, my interest in VFV has not dimmed at all; it has only grown. In 1969 I formed a local chapter of VFV in Austin, Texas where I now live. During our first six months in operation, we screened 2100 children. I speak as an interested mother, but I am by no means an authority in this field. My only hope is that this simple testing, which only detects gross visual problems, will serve as an impetus to get parent to take their children to a vision specialist of their own choosing. For, just because your child passes a test, he is not necessarily problem free. The three major tests- the Keystone Telebinocular, the Titmus Vision Screener, and the Massachusetts Vision Test Screener- are not substitutes for a professional examination. As a parent, there are many things you can do to promote good vision. Start at birth by hanging toys and mobiles over the crib to develop hand-eye coordination. Later, encourage your child to use proper lighting and posture when he reads, and to maintain adequate distance for reading, studying or watching TV. There are also danger signals a parent can look for. Do your child’s eyes frequently “run,” as if he were crying? Does one eye turn involuntarily? Does your child have persistent sties about his eyes? What about his reading habits? Does he (or she) experience headaches or nausea; does print blur after only short reading periods? Does he see double, squint or omit words or letters when writing? Does he have hand-eye coordination problems? One indication of this is a need to touch things in order to understand or interpret information. Helping someone to see better is a magnificent achievement, particularly since seeing and understanding is considered synonymous in our society. For as I once pointed out in a speech I made a few years ago, if the key to a better society is education, then the key to a better education is better vision. If you don’t have that key, you can’t open the door to a better life. There are three primary means of rehabilitation. 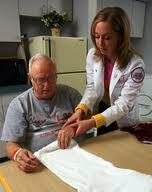 Physical therapy (PT) helps restore physical functioning and skills like walking and range of movement. 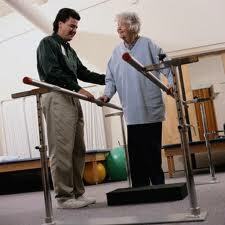 Major impairments which PT works on include partial or one-sided paralysis, faulty balance and foot drop. Occupational therapy (OT) involves relearning the skills needed for everyday living such as eating, toileting, dressing and taking care of oneself. Speech language pathology is another major rehabilitative therapy. Some stroke survivors are left with aphasia, an impairment of language and speaking skills in which the stroke survivor can think as well as before the stroke, but is unable to get the right words out or is unable to process words coming in. Aphasia is usually caused by a stroke on the left side of the brain. Speech language pathology can teach the aphasic stroke survivor and his or her family members methods for coping with this frustrating impairment. Speech language pathologists also work to help the stroke survivor cope with memory loss and other “thought” problems caused by the stroke. SAN FRANCISCO – Treatment of symptomatic convergence insufficiency in presbyopic patients using base-in prism resolved symptoms of ocular surface disease, a study found. “In convergence insufficiency, there is an overlap of symptoms [with ocular surface disease]. Just because someone complains of burning, dryness and ache does not mean they have ocular surface disease; it could be related to convergence insufficiency,” Bruce A. Teitelbaum, OD, FAAO, told PRIMARY CARE OPTOMETRY NEWS here at Academy 2010. The randomized, double-masked study enrolled 26 presbyopic patients with symptomatic convergence insufficiency who participated in a previous study to determine the efficacy of base-in prism. Patients were randomly assigned placebo glasses or treatment glasses and quantified the severity of their ocular surface disease symptoms on a scale from 0 to 4. The ocular surface disease symptoms in the treatment group “dramatically” improved from baseline as compared to the placebo group, the study authors said. The treatment group reported a total symptom score of 2.69 compared to the baseline score of 6.42. AURORA, OH–(Ma rketwire – July 24, 2009) – Arizona Cardinals 2008 NFC West Champions’ wide-receiver, Larry Fitzgerald, is helping eye doctors spread the word to parents that vision problems can interfere with a child’s ability to pay attention, read and learn. “Even if you have been told your child has perfect vision or 20/20 vision, your child could still be at-risk of having a learning-related vision problem,” warns Fitzgerald. Do you have a child who takes forever to do homework? Or hates to read? Learning-related vision problems directly affect how we learn, read, or do close work. The College of Optometrists in Vision Development (COVD) launched their annual campaign, August is National Children’s Vision & Learning month, to educate the public on the steps they can take to ensure their children aren’t struggling with reading and learning because of undiagnosed vision problems. “Parents don’t realize that you need over 15 visual skills to succeed in reading, learning, sports, and in life. Seeing ’20/20′ is just one of those visual skills,” says Fitzgerald. During the many pre- and post-Super Bowl press interviews, Fitzgerald explained that one of the keys to his success was having vision therapy as a child. He had a vision problem that was making it difficult to pay attention in school and his grandfather, Dr. Robert Johnson, a developmental optometrist in Chicago, Illinois, diagnosed the vision problem and the appropriate treatment. Fitzgerald went through vision therapy under his aunt’s guidance, Dr. Stephanie Johnson-Brown, who is currently the executive director of the Plano Child Development Center, a not-for-profit vision care service corporation which was co-founded by her father, Dr. Johnson, in 1959, which specializes in vision education and the identification and remediation of vision development problems in children and adults. Fitzgerald is joining COVD this year to help spread the word that 20/20 is NOT perfect vision and that if your children are struggling with reading you need to take them to see a developmental optometrist. You can visit COVD’s website to find a developmental optometrist near you. “Vision problems can have a serious impact on a child’s education. Don’t wait to see if this next school year will be better, take action today!” Fitzgerald encourages parents. Convergence insufficiency, one of the most common vision disorders that interferes with reading, was recently the focus of a national study funded by the National Institutes of Health and the National Eye Institute. This is a vision problem where the two eyes don’t work together in unison the way they are supposed to when one is reading. The result can make reading very difficult. While at least one out of every 20 school-age children is impacted by convergence insufficiency, there are other visual abnormalities to be considered. It is estimated that over 60% of problem learners have undiagnosed vision problems contributing to their difficulties. The good news is the majority of these vision problems can be treated with a program of optometric vision therapy. The study by the NEI found that in-office vision therapy was the best treatment for convergence insufficiency. Any one of these symptoms is a sign of a possible vision problem. 1. Do you test for learning-related vision problems? will you refer me to someone who does? As an infant, Raea Gragg was withdrawn and could not make eye contact. By preschool she needed to smell and squeeze every object she saw. Raea Gragg, 9, needed therapy to help her eyes work together. Specialists conducted a battery of tests. The possible diagnoses mounted: autism spectrum disorder, neurofibromatosis, attention-deficit hyperactivity disorder, anxiety disorder. A behavioral pediatrician prescribed three drugs for attention deficit and depression. The only constant was that Raea, now 9, did anything she could to avoid reading and writing. Though she had already had two eye exams, finding her vision was 20/20, this year a school reading specialist suggested another. And this time the optometrist did what no one else had: he put his finger on Raea’s nose and moved it in and out. Her eyes jumped all over the place. Within minutes he had the diagnosis: convergence insufficiency, in which the patient sees double because the eyes cannot work together at close range. Experts estimate that 5 percent of school-age children have convergence insufficiency. They can suffer headaches, dizziness and nausea, which can lead to irritability, low self-esteem and inability to concentrate. 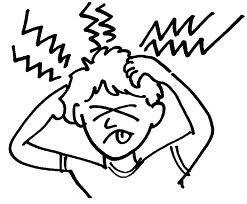 Doctors and teachers often attribute the behavior to attention disorders or seek other medical explanations. Mrs. Gragg said her pediatrician had never heard of convergence insufficiency. 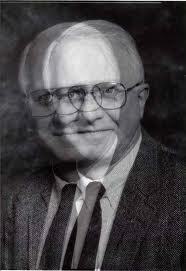 In 2005, Dr. Granet studied 266 patients with convergence insufficiency. Nearly 10 percent also had diagnoses of attention deficit or hyperactivity — three times that of the general population. The reverse also proved true: examining the hospital records of 1,700 children with A.D.H.D., Dr. Granet and colleagues found that 16 percent also had convergence insufficiency, three times the normal rate. Dr. Stuart Dankner, a pediatric ophthalmologist in Baltimore and an assistant clinical professor at Johns Hopkins, said that children should be tested for convergence difficulty, but cautioned that it was not the cause of most attention and reading problems. Doctors recommend a dilated eye exam and a check of eye teaming and focusing skills. Testing includes using a pen or finger to test for the “near point of convergence,” as well as a phoropter, which uses lenses and prisms to test the eyes’ ability to work together. There is no consensus on how to treat convergence insufficiency. Next spring, the National Eye Institute will announce the results of a $6 million randomized clinical trial measuring the benefits of vision therapy in a doctor’s office versus home-based therapy. For Raea Gragg, the treatment was relatively simple. For nine months she wore special glasses that use prisms to help the eyes converge inward. She then had three months of vision therapy. She has just entered fourth grade and is reading at grade level. An article in Science Times on Sept. 11 about convergence insufficiency, in which a patient sees double because the eyes cannot work together at close range, misidentified the specialty of the doctor who diagnosed and treated the problem in Raea Gragg. The doctor, Carl Hirsch, who was not identified in the article, is an optometrist, not an ophthalmologist. The technology for 3D movies has come a long way since the first American color feature Bwana Devil in 1952. However, one issue hasn’t changed over the years – eye-related health issues can be a problem for some viewers. Stephen Glasser, a Washington optometrist, says that more people may discover eye problems as 3D movies become more mainstream. According to the National Association of Theatre Owners, almost 10% of US movie screens are now capable of projecting in 3D, up from 1.5% in 2007. There are approximately 20 3D movies set to release in 2010. Television is also going 3D. ESPN has launched a 3D channel, which broadcast 18 of the World Cup soccer matches, and Discovery plans their own channel in early 2011. To generate a three-dimensional effect, a special projector displays two identical images on the screen, but from slightly different angles making one appear close and the other to appear far away. Special polarized glasses are worn that force one of the images to enter the left eye and the other to enter the right. The two images travel to the visual cortex, the area of the brain primarily responsible for processing vision. This creates the illusion of three dimensions. Early 3D movies used color to set the images apart, and viewers wore paper glasses with one lens colored red and the other colored blue. These tended to give viewers headaches, eyestrain, and nausea. Today’s 3D with digital technology gives crisper, clearer images and fewer problems, however there is still a risk of visual fatigue and “simulator sickness”, a type of nausea that also plagues users of flight simulators, head-mounted virtual reality displays and other 3D applications. In Italy, the ministry of health has other concerns about 3D movies – specifically the cleanliness of the borrowed glasses. They confiscated 7000 pairs of 3D glasses from cinemas, stating that they were not properly disinfected between screenings and lacked tags that proved that they do not cause vision problems. When seeing a 3D movie here in the States, it is best to carry an antibacterial spray or wipe – just in case. 3D can have some advantages – some patients actually discover health problems because they are unable to see the images clearly. About 2 to 3 percent of people have an eye condition where only one of the eyes turns inward to track a close object. The condition is called vergence accommodation conflict. Other conditions that cause 3D movies to fall flat include lazy eye (amblyopia), strabismus, keratoconus, or poor vision in one eye due to cataracts, glaucoma or retinal problems.